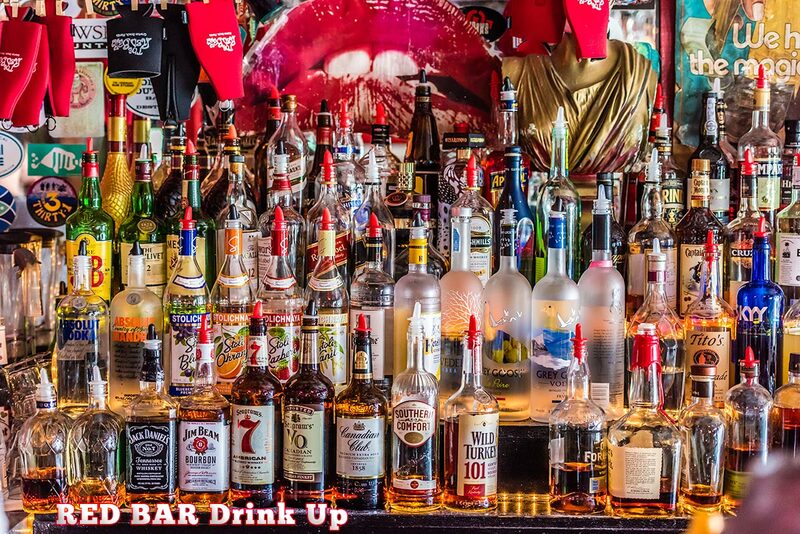 The Red Bar serves all day and all night to quench the thirst of beach lovers on a mission of fun. The liquor bottles behind the bar contain a range from rot gut to top shelf exclusive brands. Whatever your fancy we’ll make it, or make it up. We have wine that is both red and white, and some that is in between. Our Bloody Mary is famous as “the house salad” – it’s hearty, spicy, and full-figured. The Mimosas are tasty and flow like water. Cold draft beer is what most of us crave when coming off the beach. We’ll save a seat for you.